Dems Vow To Investigate Zinke If US House Flips - Joe.My.God. 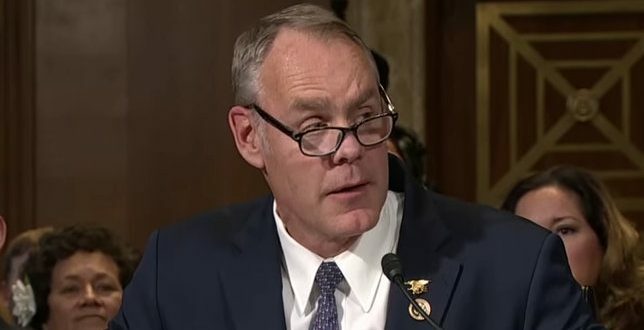 Interior Secretary Ryan Zinke will face a barrage of congressional inquiries into his business dealings, travels, political activities and relations with industry if Democrats win the House in November, according to lawmakers who hope to lead the chamber next year. Arizona Rep. Raúl Grijalva, the top Democrat on the House Natural Resources Committee, has already unsuccessfully demanded a hearing this month on a “Culture of Corruption” surrounding the Cabinet secretary, including Zinke’s taxpayer-funded travels to political fundraisers and handling of an American Indian casino project in Connecticut. The secretary faces several open ethics investigations, from watchdogs including the Interior Department’s inspector general, into his interactions with lobbyists and oil industry heavyweights. He has also pursued controversial policy choices like proposing to open vast new swaths of offshore waters to drilling and slashing national monuments.